I was lucky enough to be sent a few of the new H&M Conscious Beauty products. I've been using them over the last few weeks, so I can give a full review. I received the Raspberry Lip Balm, Relaxing Body Cream, and Conditioning Face mask. If I rated these in terms of emojis, I would have one 👍🏻, one 🤔, and one 👎🏻. Keep reading to find out my thoughts! Raspberry Lip Balm: I really loved the smell of this product. It was quite an artificial raspberry smell, and it comes across as sickly sweet, but I quite like that about it. The consistency is fairly smooth, with a tiny bit of a granular-like feeling that disappears as you rub it in. Unfortunately, this product didn't work for me. I found my lips felt more chapped after use than before, and it actually created a few sores/cut across in the corner of my lips. I've stopped using it for that reason. Conditioning Face Mask: This is the one that I'm still on the fence about. I have oily skin, so I'm not the biggest fan of deep conditioning masks, but I do use them on occasion. 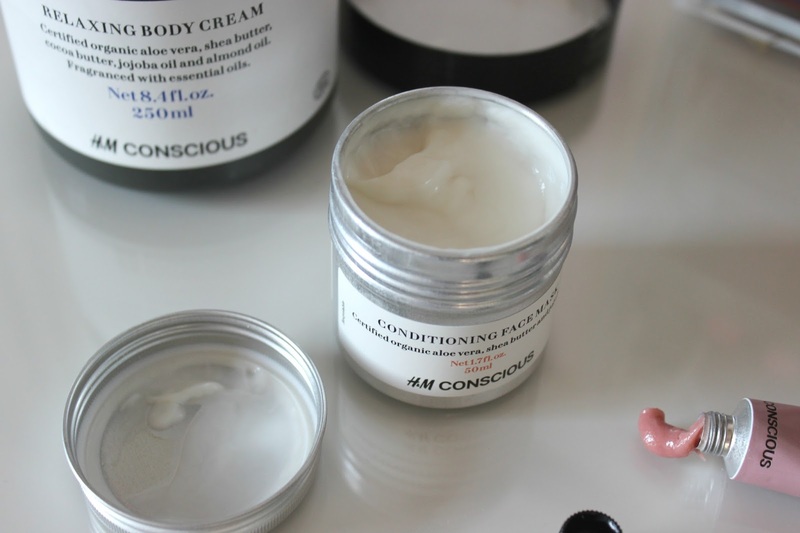 Skin is said to produce an excess of oil when it feels deprived of natural ones, so conditioning masks like this can potentially help reduce oiliness. 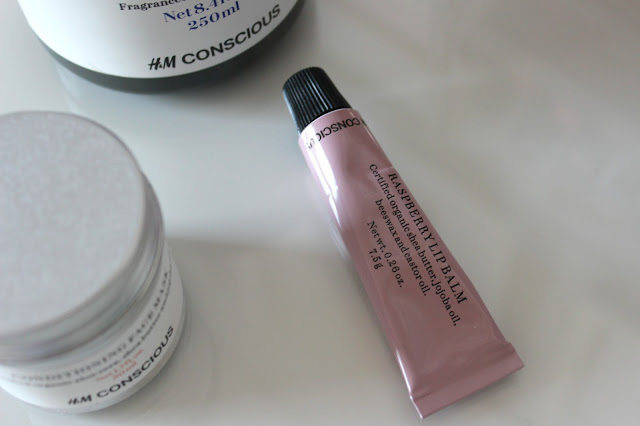 My personal favourite conditioning mask is the Origins Drink Up Intensive Overnight Mask. I've tried using this H&M mask two ways. 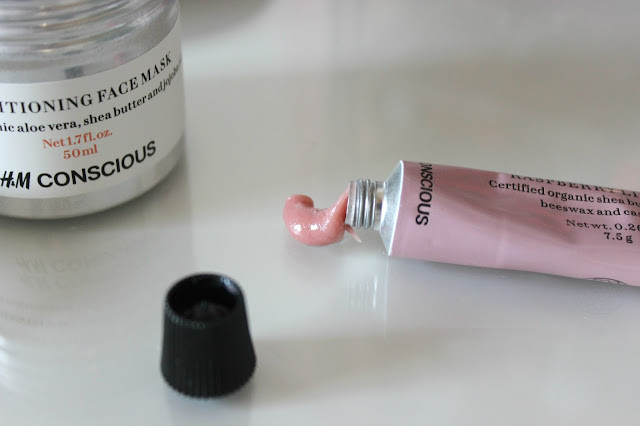 I've used it as an overnight intense mask, and as directed, for 2-10 minutes. I found that it worked better overnight actually. It wasn't too intense, and didn't create a greasy layer of film like some masks can. It absorbed almost like a moisturizer, and didn't break me out either. I don't think it made a huge difference, but then again, I don't have any particular dry patches. Relaxing Body Cream: I freaking love this product. I already know that I'll be picking up a back-up next time I'm at the Eaton Centre. It has quite a pungent smell, and the shea butter and jojoba oil are definitely visible. It doesn't necessarily linger, but it doesn't disappear either. I've grown to really like the subtle hint of scent that stays on the skin. It's quite a thick consistency, almost like rubbing sunscreen in. It does take a bit of rubbing, but I think that's part of the relaxing experience. It feels so amazing as you rub it in. It doesn't leave a greasy residue at all, which I love, but your skin really maintains its moisture. What I found it best at was reducing irritation after shaving. If I shave too often (i.e. more than once a week), I break out with bumps and rash-like annoyances. But this seemed to really minimize that. I'm assuming it's the aloe vera that does that. 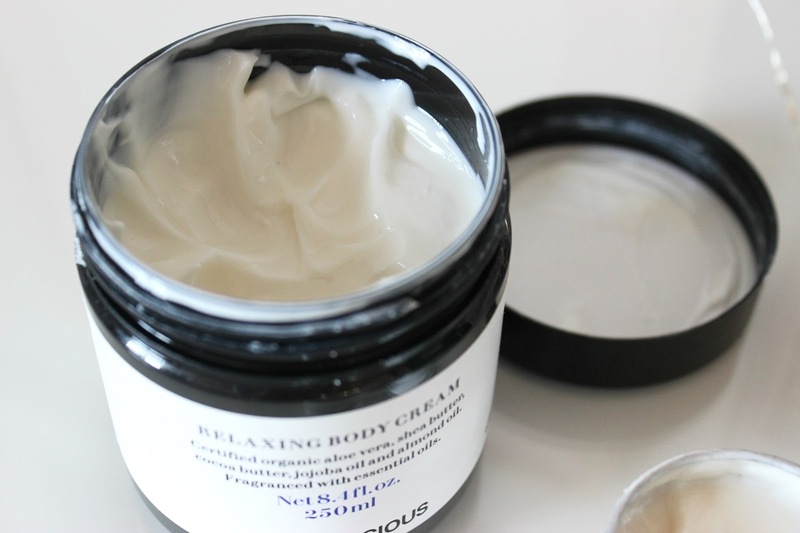 Verdict: Overall, I think that both the body and face creams are excellent purchases. They're very inexpensive considering how much product you get, and how well they work. Hopefully more stores start getting the beauty range, because I can see these easily becoming cult-products (in my books, at least).